– Sept. 25. 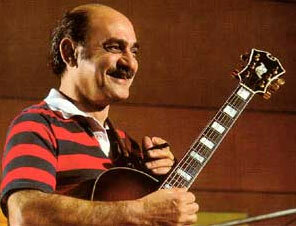 (Wed.) A Joe Pass Tribute. The great jazz guitarist’s life is celebrated with a screening of the jazzumentary, A Not So Average Joe, followed by a live performance featuring Frank Potenza, John Pisano, Jim Hughart and Colin Bailey. Catalina Bar & Grill. – Sept. 26. (Thurs.) Pat Senatore Trio. Veteran bassist Senatore plays with a different band almost every night at Vibrato. This time he applies his versatility to the jazz trio setting with Josh Nelson, piano and Mark Ferber, drums. Vibrato Grill Jazz…etc. (310) 474-9400. – Sept. 26. (Thurs.) Isabel Rose. Jazz/cabaret singer Rose has been compared to everyone from Peggy Lee to Ann-Margret and Bette Midler. She’ll introduce some new songs from her album Trouble in Paradise. The Mint. 323) 954-9400. – Sept. 26 – 29. (Thurs. – Sun.) Larry Goldings, Peter Bernstein and Bill Stewart. Expect a great jazz evening listening to this trio of world class players in action. Vitello’s. – Sept. 28. (Sat.) Keith Jarrett, Jack DeJohnette, Gary Peacock. They’re one of jazz history’s great ensembles, continuing to bring imaginative ideas to the classic piano jazz trio. Royce Hall. (310) 825-0768. – Sept. 29. (Sun.) 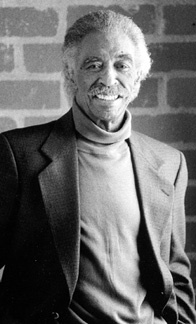 The Gerald Wilson Orchestra. Composer/arranger/bandleader Wilson may be 95 years old, but he’s still going strong, still a masterful model of jazz creativity. Catalina Bar & Grill. (323) 466-2210. – Sept. 29. (Sun.) Symphonic Jazz Orchestra Free Family Concert. The far-reaching skills of the SJO are on full display in a free concert aimed at all ages. The Carpenter Performing Arts Center. (310) 876-8130. – Sept. 26 – 29. (Thurs. – Sun,) Regina Carter. Jazz violinist Carter performs a four day sequence of far ranging music. On Thurs. with Jenny Scheinman and Sara Caswell. On Fri. with the Pablo RZiegler Quartet. On Sat. with Kenny Barron. And on Sun. with Carla Cook & SFJAZZ High School All-Stars. SFJAZZ Miner Auditorium. (866) 920-5299. – Sept. 26 – 29. (Thurs. – Sun.) 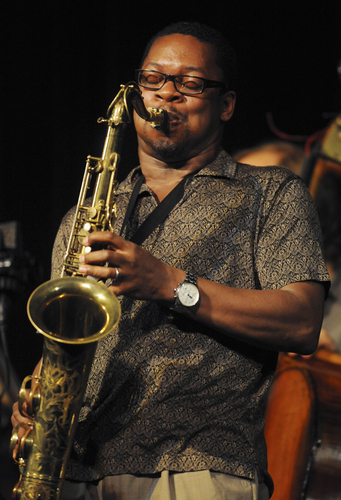 Ravi Coltrane Quartet. Following in the footsteps of his father – John Coltrane – saxophonist Ravi has gradually, and successfully, begun to establish his own independent creative style. Jazz Alley. (312) 360-0234. – Sept. 25 – 29. (Wed. – Sun.) Chick Corea and the Vigil. After seasoning his new band in an international tour, Chick showcases it for American audiences. The Blue Note. (212) 475-8592. – Sept. 26 – 29. (Thurs. – Sun.) Vinicius Cantuaria Quintet. Brazilian guitarist /singer Cantuaria started out as a percussionist, and his rhythmic skills continue to bring propulsive swing to his guitar work. The Jazz Standard. http://jazzstandard.net/red (212) 576-2232. – Sept. 27 & 28. (Fri. & Sat,.) The Rebirth Brass Band. Thirty years after they were founded, New Orleans’ Rebirth Brass Band continues to sustain the musical memories of the classic jazz brass band style. Ronnie Scott’s. +44 (0)20 7439 0747. – Sept. 27. 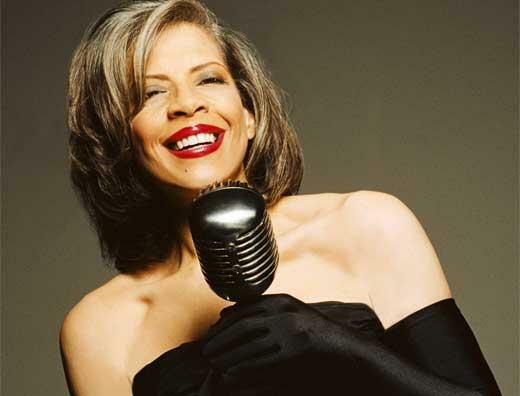 (Fri.) Patti Austin. A protege of Quincy Jones, who was her godfather, the musically eclectic Austin brings imaginative perspectives to whatever style she’s singing. Blue Note Milano. +39 02 6901 6888. – Sept. 28. (Sat.) Eddie Gomez Trio. Bassist Gomez, a prominent musical associate of Bill Evans in the ’60s and ’70s, sustains the piano jazz trio style on an international basis with Swedish pianist Stefan Karlsson and American drummer Billy Drummond. Jazzhus Montmartre. +45 31 72 34 94. Alessandra Belloni is an Italian shaman dancer, singer, performer and healer extraordinaire. This week, she’s in Los Angeles for one of her biannual visits. Among her various activities, she will share — by instruction and performance — her unique talent and understanding of the ancient rituals of the tarantella Spider Dance. 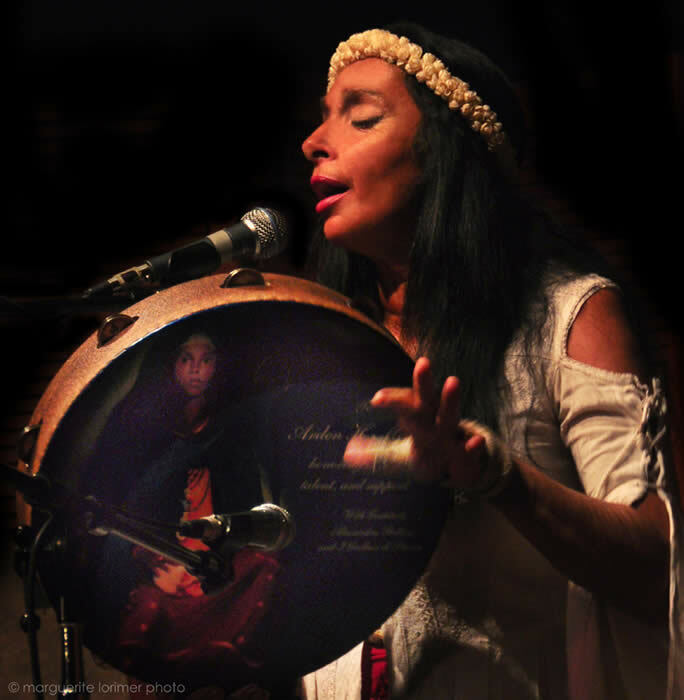 Alessandra presents the chants and songs sung as devotion to the Black Madonna (tracing to the ancient rites for the Earth Goddess Cybele), an ancient female healing tradition which uses a powerful tambourine style combined with singing and dancing. I had the pleasure of taking her brief workshop last week at the North Hollywood Remo Recreational Center, where she has her own line of signature series tambourines made by Remo. Alessandra is a small, intensely sensual and beautiful woman, devoted to her goal of sharing these ancient devotionals around the world for their healing gifts. She is a gifted teacher of a very challenging ritual which taps into the essence of femininity. – Sept. 27. (Fri.) Tarantata at the Goddess Temple Orange County. (949)651-0564 or (714) 392-0558. – Sept. 29. (Sun.) Tarantata at Hollywood Feast of San Gennaro 12:00 p.m.
We will be doing an iRoM Q&A with Alessandra during her stay this week, so look for it in the next few days. There is so much to learn from this amazing woman. For more information about Alessandra Belloni click HERE to check her website.